In this project we will learn how to cut and arrange clips from a voice over to match a script, and adjust audio levels to mix background music into a radio advertisement in Adobe Audition. When you have finished editing the voice over to match the script find some sound effects that would match the advertisement (sound clips of cars, discounts, or general things found in radio advertisements) and add those to your project. Name this file as your last name + car ("CurranCar.MP3") and upload it to your Adobe Audition folder inside your Google Drive class folder. In this project you will assemble clips from various speeches of your choice to create a story that lasts at least 1:30. Find theme music that fits the mood of your audio project and adjust the levels as needed. Each clip must be from a different speaker, and you are only allowed to use up-to 10 seconds from each speech. 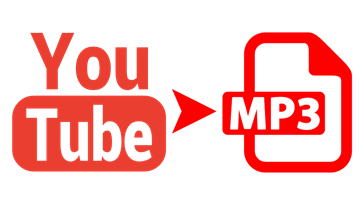 You will use a "YouTube to MP3" converter to download files as needed for this project. Remember to start your multi-track project with the sample rate set to 44,100hz. Name your file as your last name + speeches ("CurranSpeeches.MP3") and upload it to your Google Drive folder under Adobe Audition. Use this converter to download the audio from your video, make sure you download an MP3 file and not a video file. Now that we have learned how to cut and mix audio, we will learn how to apply audio effects using the effects rack in Adobe Audition. While completing this project be creative, but remember to not go overboard with the effects (you should still be able to understand the advertisement). When you have completed this project export the file as your last name + monster truck "CurranMonsterTruck.mp3". Upload the file to your class Google Drive folder under Adobe Audition. For this project you will create a non visual movie using only sound effects in Adobe Audition. No words are allowed. Try to layer your sound effects to create a detailed audio world. Audio effects can be found on YouTube, Free Sound, or any other resource online. This project should not exceed four minutes in length. You will also submit a paper explaining your story, this can be in paragraph or bullet point format. Be sure to include a title for your story, your name, class period, and theme # you picked at the top of the paper. Name your MP3 file and your PDF paper as your last name + mystery, and upload it to your Google Drive folder under Adobe Audition. For this project you need to pick a year, or a decade to make an audio time capsule. Your time capsule needs to capture music from the time period, events that took place, and various other elements that stand out from the period. Name your MP3 file as your last name + #### time (Ex. "Curran1990sTime.MP3") and upload it to your Google Drive folder under Adobe Audition.